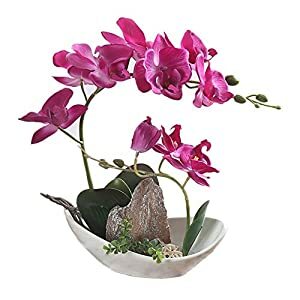 silk orchid arrangement – are blooming beautiful! 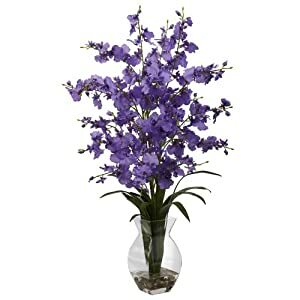 Ideal to arrange with roses, gardenias, silk peonies and lots more. These really are gorgeous silk flowers and we have a large selection here. Large selection and only the highest quality here. 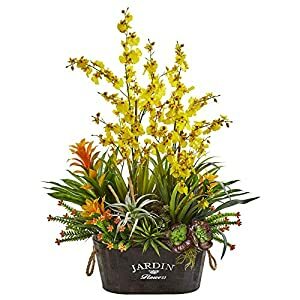 If you’re the type of homeowner that appreciates the look of flowers but doesn’t want to add a lot of color into a room, this arrangement of artificial orchids, succulents, and driftwood is exactly what you’re looking for. The classic elegance of the white orchids works perfectly against the distressed look of the driftwood. The entire piece is pulled together with the lush green succulents at the bottom of the arrangement. The decorative vase helps to add a more sophisticated appeal that is perfect for modern homes. Made out of silk, the Orchid & Succulent Garden with Driftwood & Decorative Vase will offer a stunning appeal for years to come.